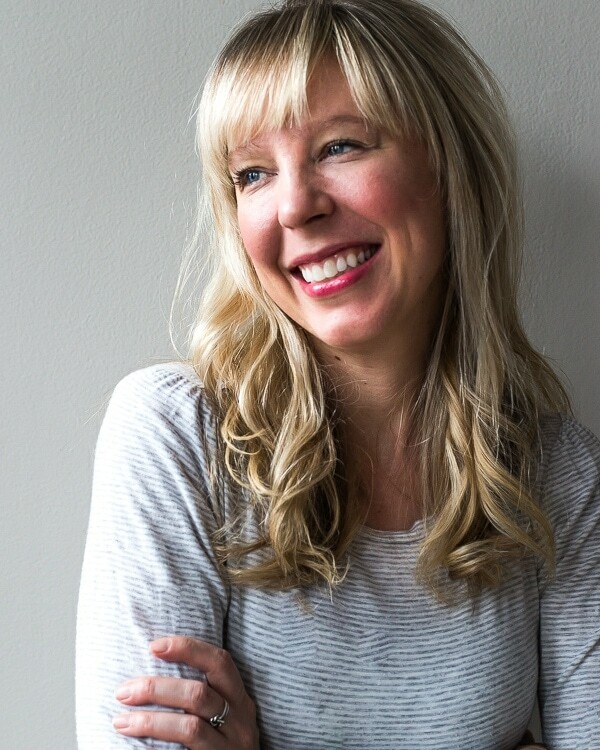 This post is sponsored by Lorissa’s Kitchen, a year long partner of Heartbeet Kitchen. For the first time in forever, I feel like I’ve fully enjoyed my summer, squeezing every last bit out of the longer, warmer days. A better work-life balance was key to that happening, a topic I’ve struggled with in the past. But sometimes when life turns upside down for awhile, you take a deeper (and maybe darker?) look at what’s truly important in life, how you want to spend your fleeting time on this earth, and who you want to give your love to. So instead of thinking about when I could make time to do things, I just did them. I swung the golf club more times this year than in the past seven combined (even snagged my first hole in one). And had numerous patio dinners with friends. Movie dates when it was too hot to do anything outside. We walked our neighborhood a zillion times, talking about the day. Sometimes ice cream for dinner – okay, more times than I can count on both hands. And we’ve hiked some of the most picturesque spots in northern Minnesota. These fives hikes are my favorites – not too difficult, yet get your legs moving and set your mind free. I’ve found that I enjoy hiking more when it’s not for the sole purpose of exercise, but more when it’s for enjoying nature and fresh air, with movement as a bonus. We pack our swimsuits in case we want to dip in one of the streams or waterfalls, and always a few gluten-free snacks. 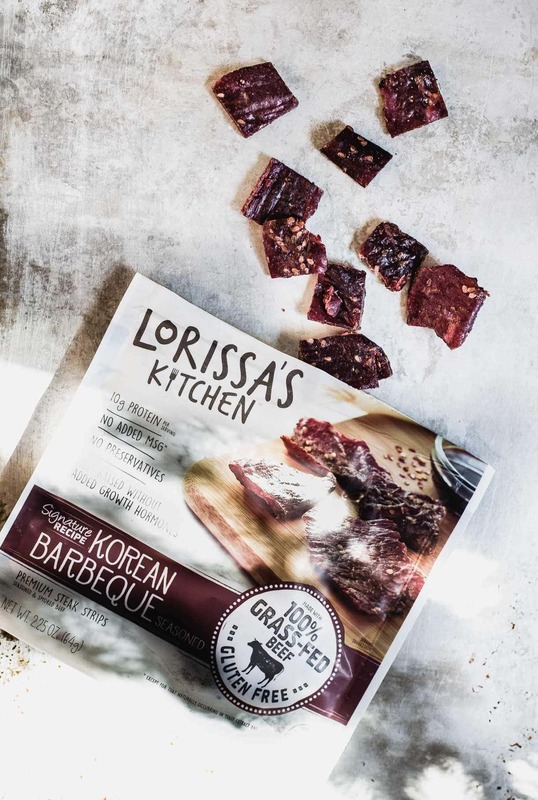 Roasted cashews, Lorissa’s Kitchen Protein snacks (I’m loving the grassfed korean barbecue right now, no preservatives or nitrates used) and clementines (they don’t bruise or get ruined by heat!) are our tried and true. 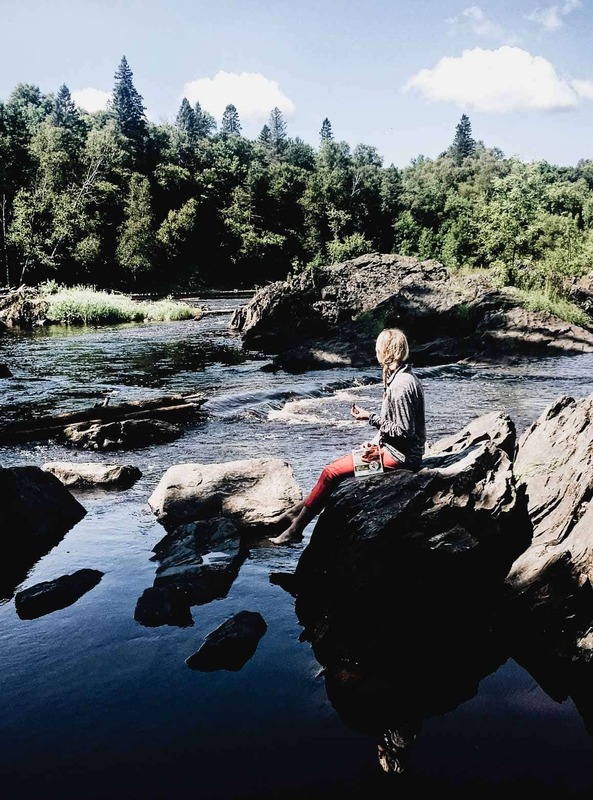 Jay Cooke State Park: You’ll enter this park by walking on a swinging suspension bridge, high above the fast moving St. Louis River (yes, that’s in Minnesota!). Over 50 miles of trails, wildflowers light the paths with color, and tall trees give way to sunbeams that filter through. And beautiful exposed layers of slate, greywacke and native brownstone line the river. 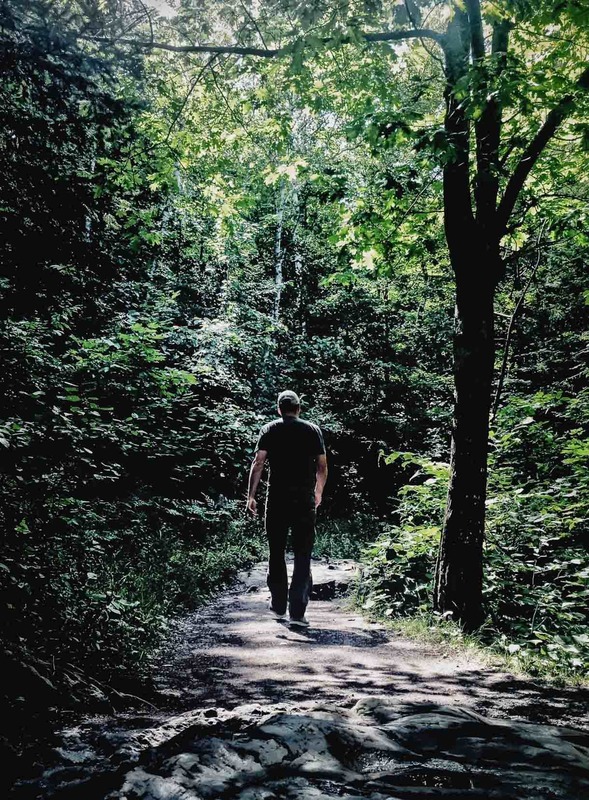 Lookout Mountain Loop Trail: Located in Cascade River State Park, you’ll trek past numerous waterfalls on your way up to the top of the peak, standing at 1,850 feet. 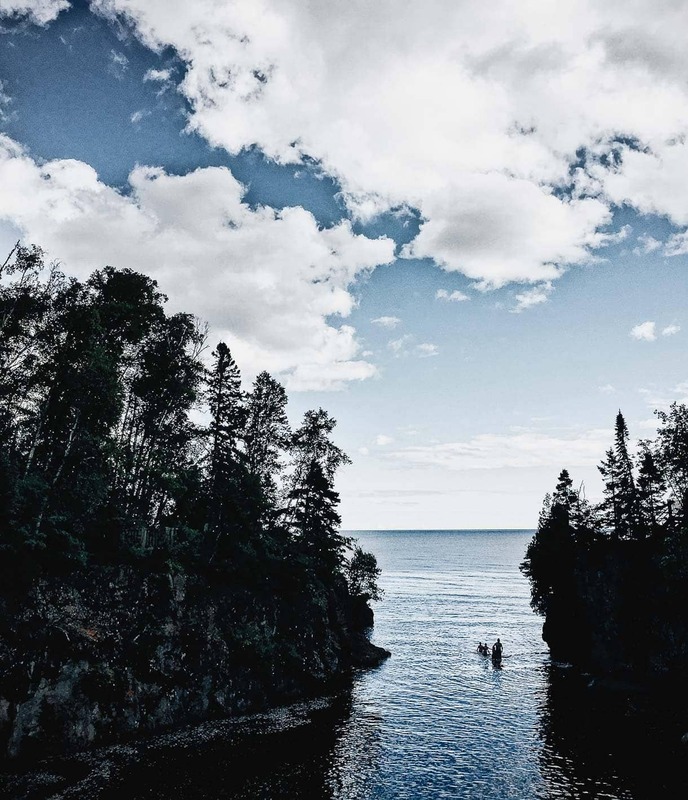 It’s one of the most incredible views of Lake Superior in the state, seeing far beyond what you might expect. Absolutely breathtaking. 3. Tetteguchee State Park: Everyone talks about Gooseberry Falls, but I think the 70-foot High Falls (the tallest in Minnesota) of the Baptism River that you’ll see along this trail is incredible. One hundred and fifty-seven wooden steps take you to the river and a view looking up at the waterfall. Nestled along the river is a beautiful birch forest with a Fern Gully type carpet beneath your feet, carpeted in bunchberries and thimbleberries. There are lots of overlooks, and even a springy suspension bridge where you’ll able to head downstream. 4. Quarry Loop Trail: in Banning State Park: One side of the loop follows the Kettle River past sandstone cliffs and the violent white water for which the stream is known—rapids named Blueberry Slide, Mother’s Delight, and Dragon’s Tooth. And numerous towering rock walls where the stone was quarried from, along with other rock formations are a sight to see. You’ll also go past past abandoned buildings that once housed the powerhouse and crusher for the sandstone quarry that operated here more than a century ago. A little eerie in the best way. 5. 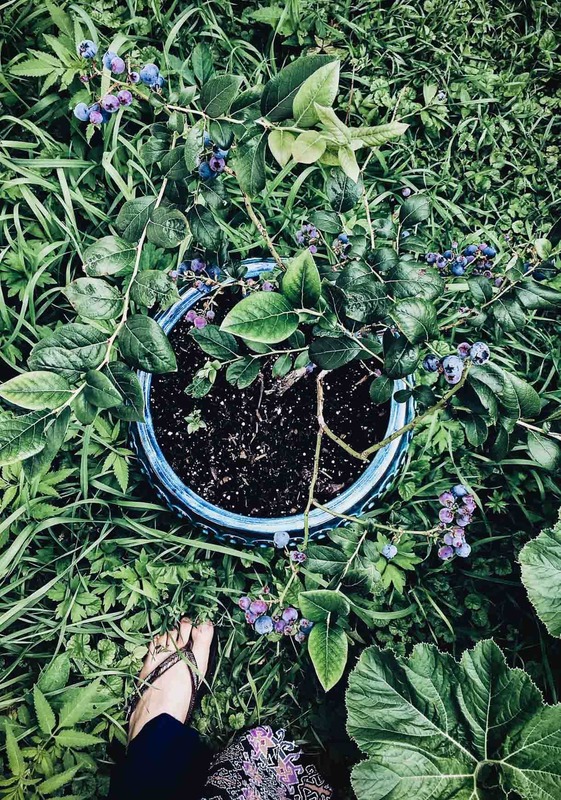 Blueberry Hill: Put this one on your list for June or July, and you’ll be treated to more blueberries than your heart desires. And if you’re lucky enough, you might see a moose (prevalent here) finding berries too! At the top of this short, but steep hill, you’ll have a great view of Northern Light Lake. We usually take a quick walk down to where the Brule River flows into the lake as well. And after tasting all those blueberries, I had to plant my own. I’d love to hear what your favorite hiking spots are too, and what snacks you pack, so be sure to leave them in the comments! In the meantime, you can find Lorissa’s Kitchen at Target or online, here. This post contains Amazon affiliate links, which I may make a small commission from should you decide to purchase, at no cost to you. Love this post, beautiful pictures! Some of my relatives live in Minnesota, so next time I’m there I’ll have to check some of these spots out. Especially Blueberry Hill – yum! :) Keep up the good work! Just east of Grand Marais, hike up the Devil Track River. Literally. Depending on your risk tolerance and sense of adventure, you can literally hike up the river, through multiple waterfalls. For those with good common sense, there is a trail so you can hike around the falls! totally putting this on my list! sounds beautiful and adventurous. thanks for the tip!